32 music-ready Lumo homes will be completed in early 2019 in the Punavuori district in the heart of Helsinki. 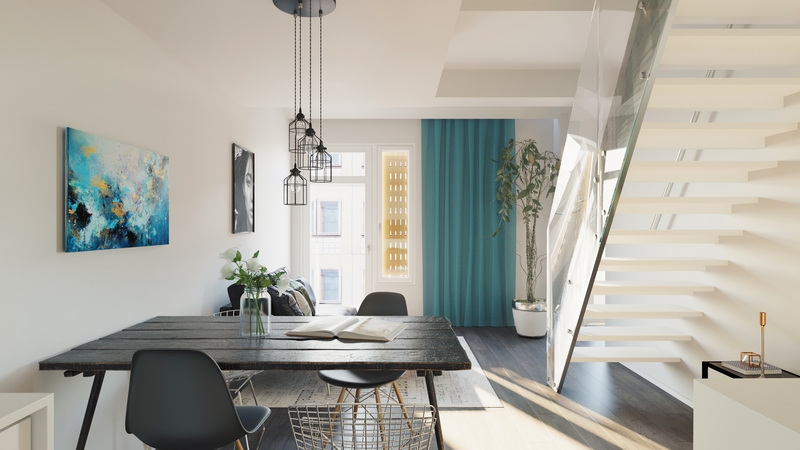 In addition to the traditional benefits of a Lumo home, the apartments at Iso Roobertinkatu 30 will feature high-quality, built-in sound systems for music and hi-fi aficionados. On top of the great location, quality interior materials and fittings, tenants at Iso Roobertinkatu 30 will get to enjoy top-notch hi-fi. In collaboration with CETgroup, these apartments have been fitted with structurally integrated sound systems. A built-in sound system brings a little luxury into everyday life and living. The system is easy to use – just switch it on using a control panel installed into a wall, and stream media from your smartphone directly into the discreet, built-in speakers using a Bluetooth connection. As music streaming services operating online become increasingly popular, an integrated sound system makes it possible to easily listen to music anywhere in your apartment. “Listening to music should be easy and invisible at the same time. Everything can be hidden, the only thing visible will be the speakers built into the ceiling or the walls. Music will be heard, not seen!” says the CETgroup Head of Sales Kim Lindstedt. The sound system built into the apartments also makes it possible to listen to audio books together with the whole family. The first Lumo tenants have already started using the system. The CETgroup’s sound system solutions have been piloted at Palmsenpolku, Helsinki, in a number of Lumo homes since Fall 2017. Based on the feedback received from the tenants, the decision was made to install the system into all of the Iso Roobertinkatu apartments. “A built-in sound system creates more space in a compact urban home for other things,” says the Head of Sales for Lumo homes Mikko Purola. “Studies also show that listening to music is good for you, and we wish to promote the well-being of our tenants,” he continues. The installation of the sound systems takes place during the construction or basic renovation of a building, and for this reason, the system is being piloted in new and renovated Lumo homes.